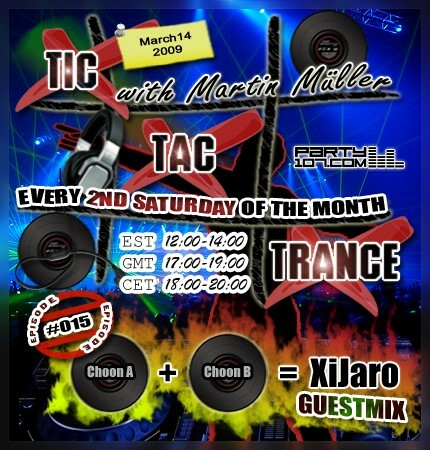 The upcoming #015 installment of Tic Tac Trance on March 14 2009 will feature an exclusive one hour guestmix of my personal mashup king XiJaro. His set will include many of XiJaro’s own uplifting mashups and will bring you into the right mood for a hot Saturday evening. My job is now to prepare you for this guestmix with a mixture of my personal favorites of the lastest progressive and uplifting tunes. Important: The show will air one hour later in US/Canada time than the regularly scheduled time, however will be airing at the normal time in Europe.